The Snake Skullpture stands at 9.75″ tall and is 5″ at its widest point. 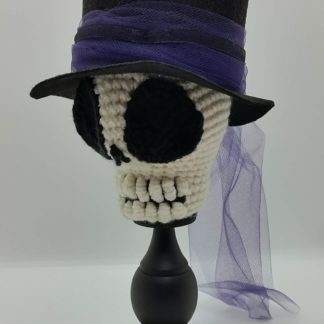 This is one of five pieces in my Skullpture collection. 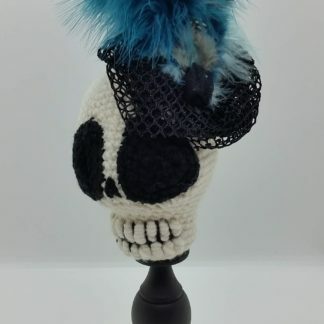 They are gothic pieces inspired by wig stand busts. 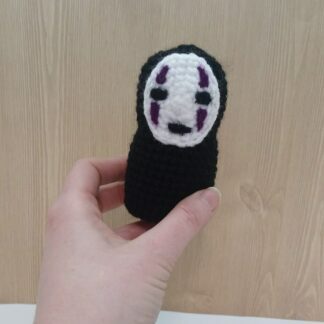 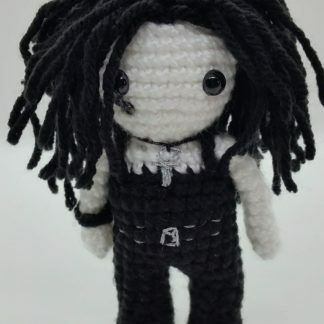 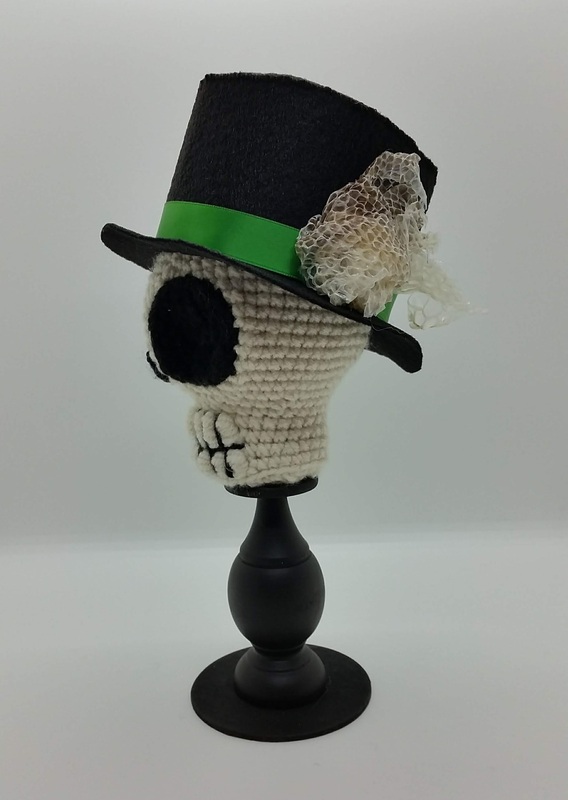 The skull is crocheted in the amigurumi style. 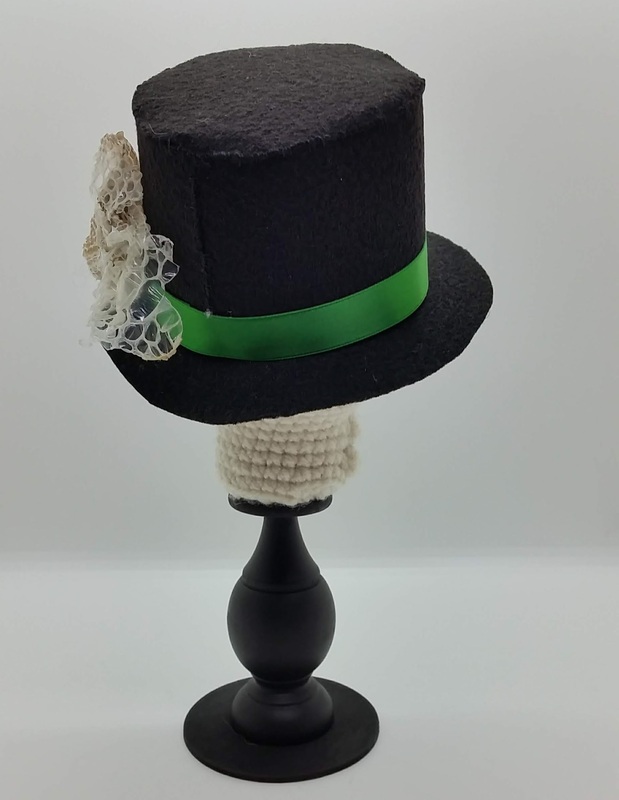 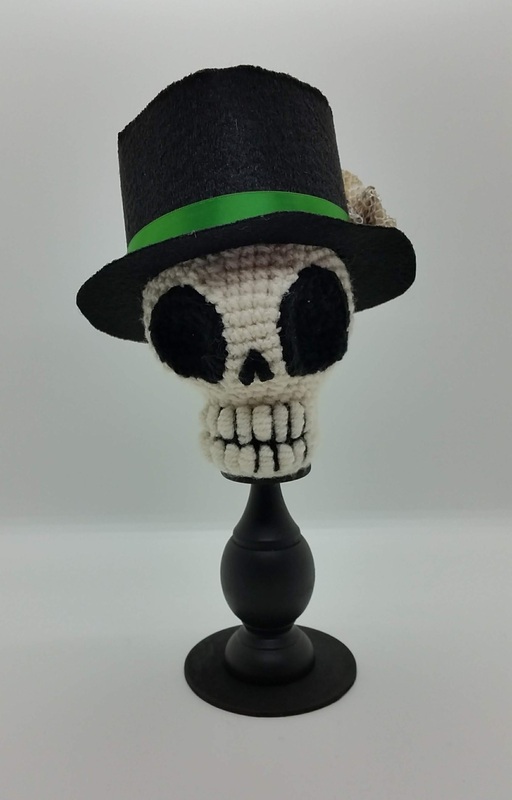 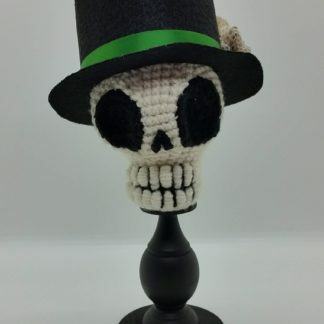 The top hat is hand sewn and made custom for the skull. It sits on a wooden stand that has been pieced together. 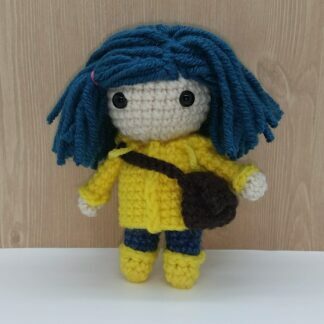 Instructions for Care: Each one is made with 100% acrylic yarn and can be spot cleaned with a damp cloth + soapy water and air dried.